This will be the most spectacular experience under the sea (2 dives + The Museo Atlántico of Lanzarote) opening the underwater world. 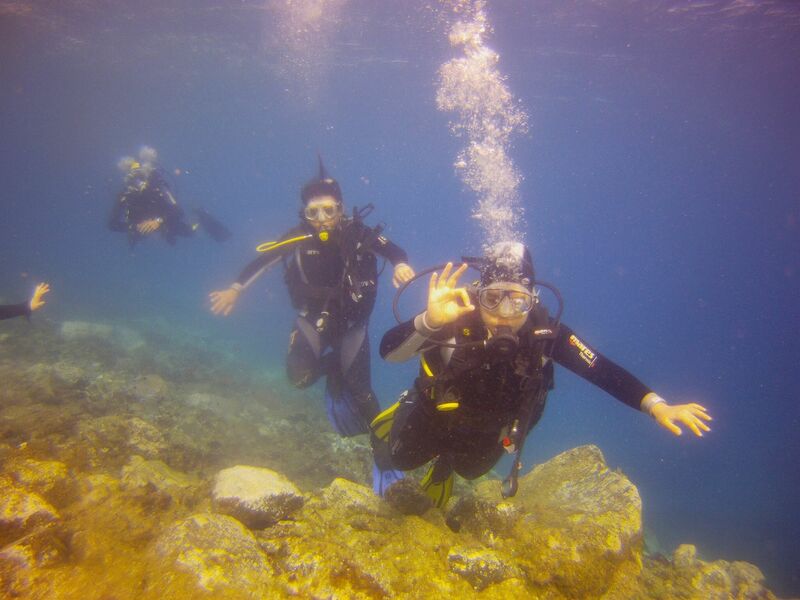 Try dive activity, This activity can be your ticket to a the new world under the sea. Discovering what it is like to breathe air underwater and known this world has never been easier. 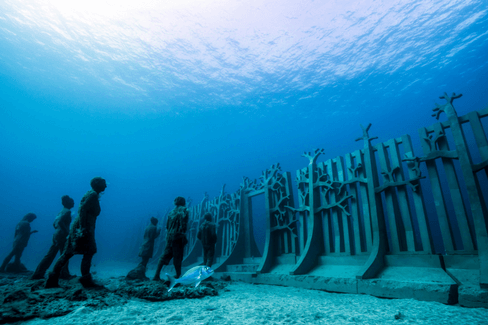 The Museo Atlántico of Lanzarote opened its doors to the world on 2016, as the first underwater art museum in Europe – it takes up 50×50 metres of lifeless sandy seabed, built with neutral pH materials that respect the environment, and all the pieces have been designed to adapt to the endemic marine life. We will meet you in our Paddle In Spain center group in Playa Blanca, your instructor will explain the basic notions and will accompany you at all moment, while you dive at a short depth in front of the diving center. In only one hour you will have experimented the feeling of breathing under water with complete security. After the first session we will take a break in our center and we will drive you to the Port where our boat will take us to the Museum and do our second dive, more deeper and so excited to see an abundance of species, as an angel sharks, shoals of barracuda, sardines, octopus, marine sponges and the occasional butterfly stingray… Unique and permanent marine exhibition. 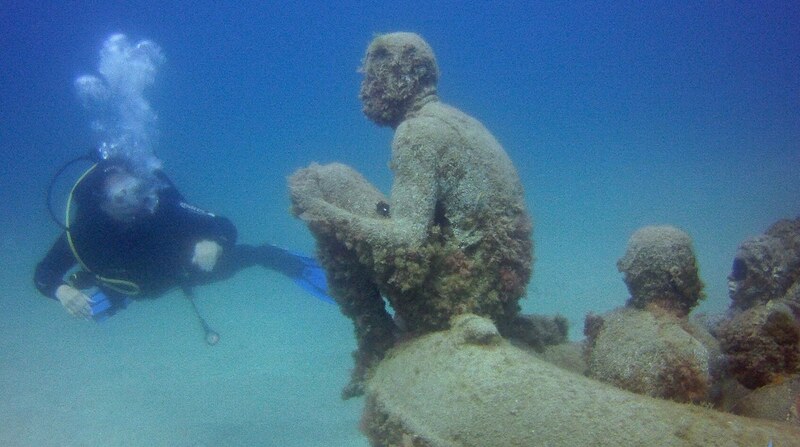 Anyone who is in good health, reasonably fit, and comfortable in the water can take part in try dive. You will be required complete a medical questionnaire upon arrival, if you answer yes to any questions on the Medical form you must see a doctor prior to starting the course. This is a weather dependent experience, that brave sea can affect, in this case the center will offer you different alternatives.